Get ready for the 2012 Youth Rock Awards! Jonathan George of Jonathan George Entertainment created the Youth Rock Awards to recognize top young talent under 25 in film, TV, music and dance. The Youth Rock Awards definitely made its mark as one of the hottest new award shows to hit the scene. 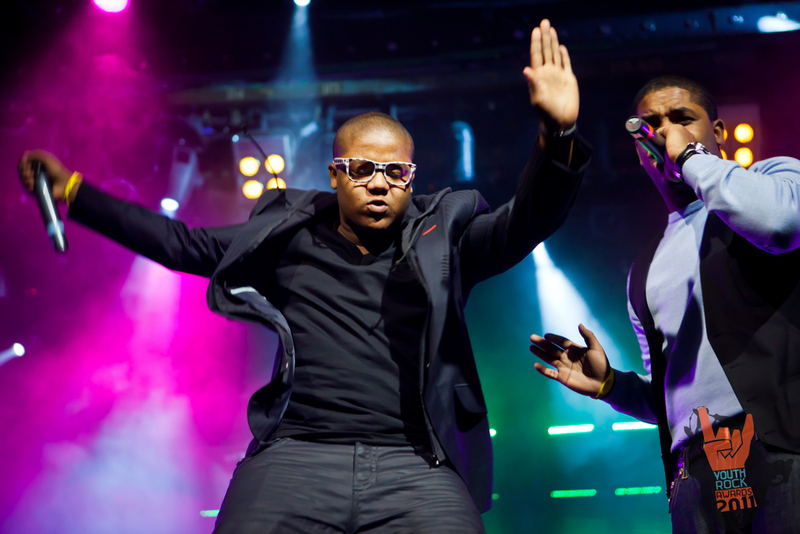 Hosted by the Massey brothers, Chris (Zoey 101) and Kyle (That's So Raven, Corey in the House, Dancing with the Stars), the show carried an upbeat party atmosphere. Celebrity DJ Spark was a permanent fixture on stage keeping the crowd hyped with a continual party. Teen Wolf's Tyler Posey and his band Lost in Kostko kicked off the show with a rocking performance of their newest single, "Somebody". The dance community was also represented with performances by today's hottest dancers and dance groups from So You Think You Can Dance, Paula Abdul's Live to Dance, and America's Best Dance Crew. Executive Producer Jonathan George stated, "I created this show to pay homage to the amazingly talented young singers, actors and dancers who continually entertain us on a daily basis. They deserve to be celebrated." Some of the winners include TWILIGHT: Eclipse, which won two awards: Rockin' Ensemble Cast in Film; and Booboo Stewart (who starred as Seth Clearwater) won the award for Rockin' Sidekick TV/Film. Teen Wolf also took two awards: one for Rockin Ensemble Cast in TV/ Drama and it's star, Tyler Posey won the award for Rockin' Actor in TV. The show partnered with My Life My Power, an non-profit organization founded by undefeated heavy-weight MMA fighter and WWE Million Dollar Tough Enough Champion, Daniel Puder. In addition to anti-bullying, MLMP's mission is to provide a positive approach, raise awareness and self-empowerment of youth through goal setting, mentoring, character building, and leadership. For the event, celebs wore original sterling silver KARMA bracelets custom created by IB Designs, as a personal pledge against bullying. After the show, guests enjoyed hor'devours, drinks, and dancing in the exclusive VIP after-party sponsored by Coca-Cola. Food and beverages were provided by Polkatots Cupcakes, Marble Pop, Oogie's Gourmet Popcorn, POPChips, Pretzel Crisps, Peace Ice Tea, and a water hydration station by HINT. DJ Spark and 15-year old prodigy DJ KiddLuke provided endless live music to keep guests dancing on the dance floor.